Just 28 miles off of the coast of Tanzania, plan an ideal day trip to the tropical island of Zanzibar and visit this top tourist destination. Getting to Zanzibar from Dar es Salaam is a breeze by ferry, which is the least expensive option. The air-conditioned ferry boats take visitors on a 2-hour ride through the blue waters of the Indian Ocean to the bustling port of Stone Town. After passing through immigration, visitors can explore Zanzibar's stunning white beaches and enjoy a variety of tour opportunities. From snorkeling, diving, and fishing to forest tours, spice markets, and historic sites, there's plenty to see and do on this East African island. $35 USD per person for an Economy ticket, or $50 for VIP. Children (5-11): $25. Children under 5 ride free. Ferries depart daily from 7 am to 4 pm. Do I need a passport to ride the ferry? All travelers on the ferry will be required to show a valid passport and yellow fever card when arriving in Zanzibar. 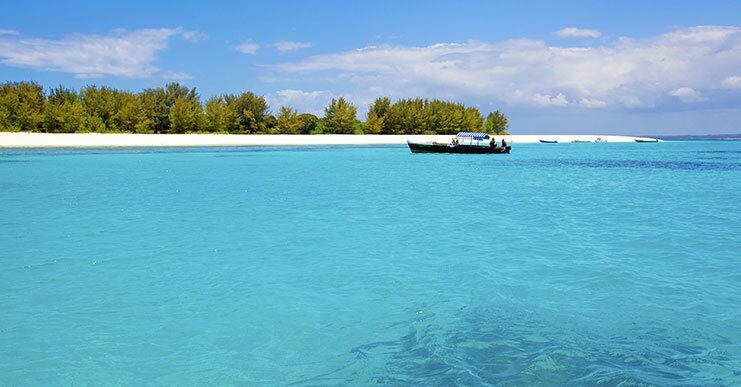 Because Zanzibar is a part of the United Republic of Tanzania, it maintains its own immigration service.